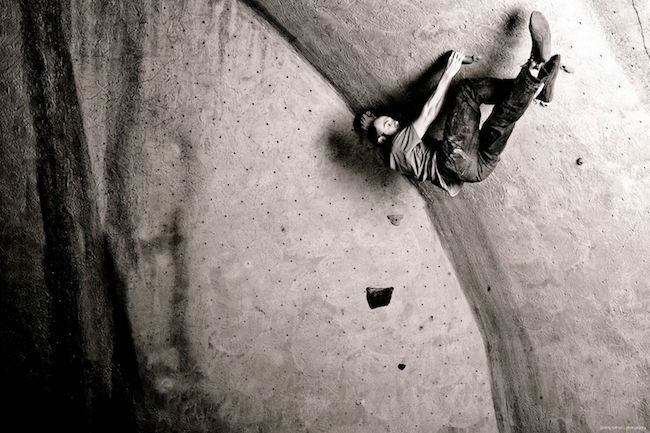 From holds and walls to setting World Cup competitions, there are very few parts of the climbing world Chris Danielson hasn’t touched. Though perhaps most well-known for his work with USA Climbing, he is well aware that his path through the climbing world is a convoluted one. “I have friends that I’ve climbed with for a long time and if you asked them what I do, they probably wouldn’t be able to answer,” he laughs. Danielson has one of the most impressive resumes of anyone working in the indoor climbing industry; most international World Cups set, International Chief Routesetter, former Chair of the USAC Routesetting Committee and now administrator of the routesetting clinic program, USAC Rules Committee, designer of national competition bouldering walls, served on several CWA committees, climbing gym start-up consultant, and last but not least is the sales rep of several major hold brands. But for a guy known more in the plastic world, he got his start on the rock of Colorado. Danielson (center left) setting for the Boulder, CO Lead World Cup. Photo: Caroline Treadway. When school ended, without any job prospects, Danielson decided to move out to Colorado with some friends. He had some construction experience and when he came across an ad in the paper for a job building climbing walls with Eldorado Wall Company, he decided to apply. 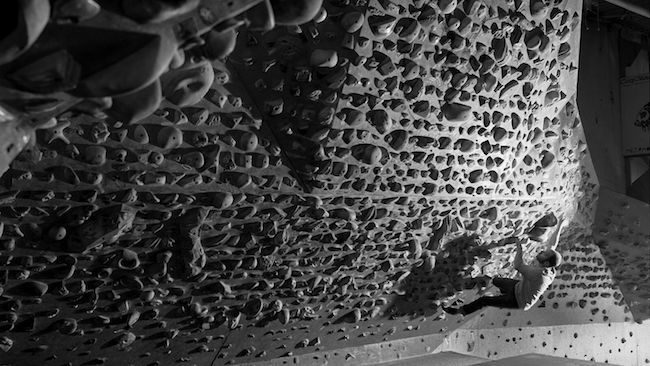 “I went in on a Friday to interview with Eldo walls and left on a Monday to drive out to New Jersey to build the New Jersey Rock Gym,” Danielson recalls. “I did that for a year and a half and that definitely got me a good bit of experience in the industry.” He also worked at the Boulder Rock Club as a setter and started gaining exposure to bigger competitions. Though his setting skills were developing at this point, Danielson decided to go a different way. In 2000 he took a detour into academia and completed a year-long accelerated Master’s program in philosophy, religion, and anthropology in Chicago. Afterwards he moved around the east coast, pursuing opportunities in the social sciences in New York, Washington DC, and Boston. 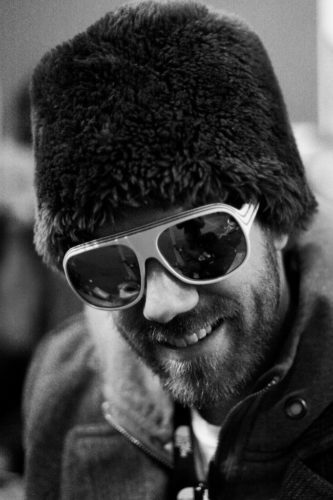 Near the end of 2005, Danielson was living in Rochester after spending time in Boston and New York. He was approached by eGrips to see if he’d be interested in selling climbing holds. “I had no idea about it,” Danielson explains. “I had no idea that was even a job – and it wasn’t really a job for most people at the time. But it was an opportunity to sell something that I thought was cool and work in the climbing world.” He moved back to Colorado to take the position as an independent sales rep with eGrips. In addition, Danielson remodeled homes and took a part-time job with USA Climbing, bringing him back into the world of competitive climbing. 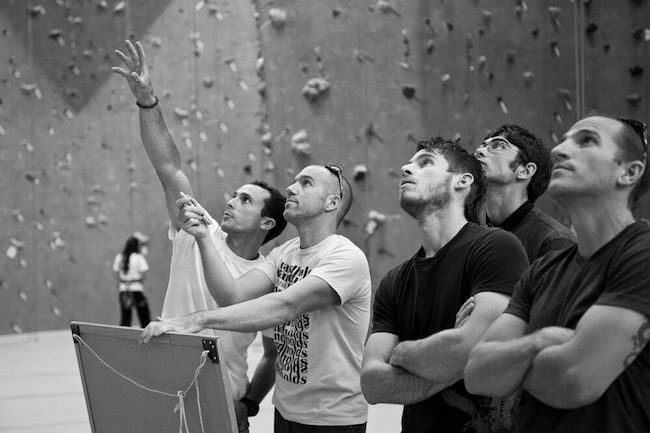 Setter Showdown Hits East Coast The 2015 Grip List 2018 Grip List Awards!